The story of Native peoples’ resistance to environmental injustice and land incursions and a call for environmentalists to learn from the indigenous community’s rich history of activism. 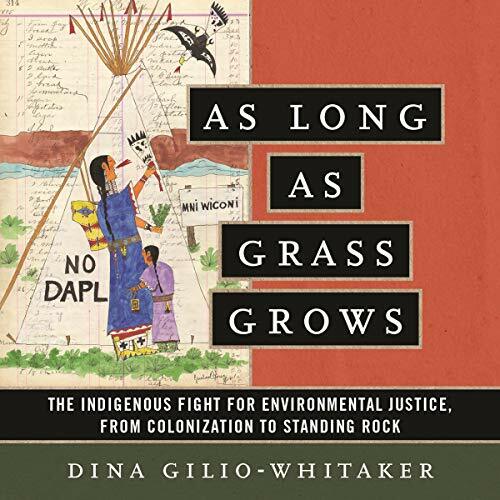 Through the unique lens of “Indigenized environmental justice”, indigenous researcher and activist Dina Gilio-Whitaker explores the fraught history of treaty violations, struggles for food and water security, and protection of sacred sites, while highlighting the important leadership of indigenous women in this centuries-long struggle. As Long as Grass Grows gives listeners an accessible history of indigenous resistance to government and corporate incursions on their lands and offers new approaches to environmental justice activism and policy.